A new growth deal signed for Arun will help to drive forward regeneration projects in Bognor Regis, Littlehampton and the Arundel area. Louise Goldsmith, leader of West Sussex County Council, and Gillian Brown, leader of Arun District Council, met on Friday 3 August to sign the Arun Growth Deal. The deal is a partnership pledge made between the two authorities and aims to deliver a tailor-made plan for growth in Bognor Regis, Littlehampton and the Arundel area. The plan focuses on a number of priority projects that aim to create jobs, attract business investment, provide new homes and improve infrastructure. • Regis Centre site, Bognor Regis – drive forward the redevelopment of this key seafront site. • Hothamton Car Park, Bognor Regis - development of some commercial, residential and a new community amenity at this strategic location in the town. • Regeneration of Littlehampton town centre and seafront. 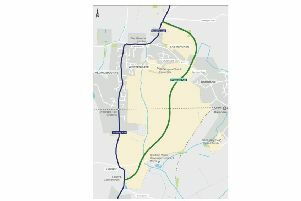 • River Arun cycleway – delivering a leisure orientated cycleway along the river bank between Arundel and Littlehampton. • Road improvements to the A29, A284/A259 and the Arundel bypass. Mrs Goldsmith said: “Signing this deal is a great step forward for the future of the Arun district. The ambitious plans are set to deliver real tangible benefits for residents and the local economy. What do you think? Email the newsdesk.